When most people who live near Marrero, LA, want to go shopping for a car, they are hoping to get into a vehicle that’s affordable, dependable, and stylish. Some think that signing a Porsche 911 lease is the smartest way to do that. While that is certainly a good option for some drivers, it doesn’t mean that it’s good for all of them. But what about for you? The following are some of the reasons you may want to consider passing up on a lease. Make sure you look at your specific situation to see if they apply to you and your needs. Drivers who like to be on the road a lot may not benefit from a Porsche 911 lease that much. That’s because when you lease, you’ll have a mileage cap. A mileage cap basically says that you shouldn’t drive more than a certain number of miles in any given year. While many can easily stay inside this limit, others will feel like they can’t go wherever they want. For example, if you tend to do a lot of road tripping, this may not be the ideal situation. Therefore, if you want to avoid mileage caps, you may want to look at buying instead of leasing. There are other restrictions you’ll have to keep in mind when you are considering a Porsche 911 lease. Since you won’t actually own your car, you can’t make any significant changes to it. You shouldn’t use bumper stickers, change the paint, or make any other major changes. That’s because you’re eventually going to have to take it back to the dealership. If you would like the opportunity to personalize your vehicle, a lease may not be right for you. Don’t care about making too many changes? In that case, you can probably get away with a lease. You’ll love that leasing often comes with fewer up-front costs. However, in the long run, you may actually spend more money if you sign a Porsche 911 lease than if you were to buy. That’s clearly not ideal for most drivers. If you want to spend as little as possible while still driving off in the ride of your dreams, consider buying. You may pay more initially, but it will be worth it in the end. 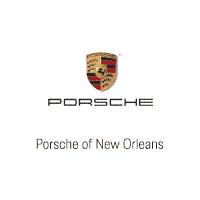 Come to Ray Brandt Porsche near Marrero, LA, when you are ready to buy or lease.